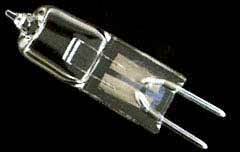 Can be used in other low-voltage lights requiring a 12-Volt, 10-Watt, Wedge Style bulb. 1/5/2010 – Is the Aquascape 10-watt waterfall light a 12V or 120V bulb? Your specs should reflect this. 10/27/2009 – I need night light g8 10 watt 120 volt bi pin Need to buy 12 bulbs. Please provide availability and price plus shipping . . .